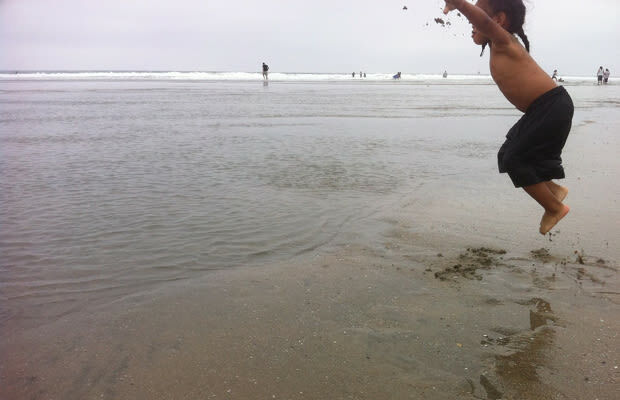 I was too beat to get up and go with them, but my lady caught this great shot of Kamaal acting like a little braided seagull on the beach in San Diego. I bug out when i think that there's a chance this dude could be dunking on kids in less that 11 years, 'cause right now he's got the "newspaper" vertical (AKA can only jump high enough for you to slide a Sunday paper under his feet). Classic shot.